Families with parent emails on record at the Purchase Community House are eligble to register ONLINE for After School Classes and other activities! After logging in, you can also view photos of PCH events. If you are having difficulty logging in, please call the Purchase Community House at (914) 949-2636 for assistance. 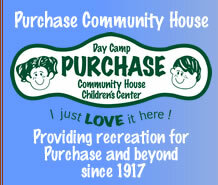 Please log in to access the Purchase Community House Online Registration. If you have never logged in or have lost your password, please enter your email address below. You must use an email address that is on record at the Purchase Community House. Then click on the Get a Password button. A temporary password will be emailed to you. You can change your password once you log in with the temporary password. If you do not receive the password, please check the spam folder of your email account. If you continue to have difficulty logging in, please call the Purchase Community House Office during business hours and we will assign you a password over the phone.